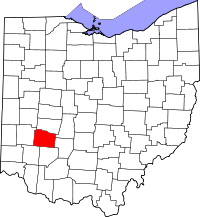 The Greene County, Ohio Local Government Web Portal http://www.co.greene.oh.us/ is one of the first websites that you should visit if you are searching for vital records from Greene County, Ohio. They provide address information as to where you can request a copy of birth and death records and other valuable information. To find information on how to obtain marriage records you can visit the Greene County Probate Court at www.co.greene.oh.us/Probate/probate_marriage.htm. To make a request online for certified copies of death and birth certificates, you can use the services of VitalChek to do so. Click on the following link to access the VitalChek website http://www.vitalchek.com. Another website that can be informative for vital records is the Ohio Office of Vital Statistics at http://www.odh.ohio.gov/vitalstatistics/vitalstats.aspx.